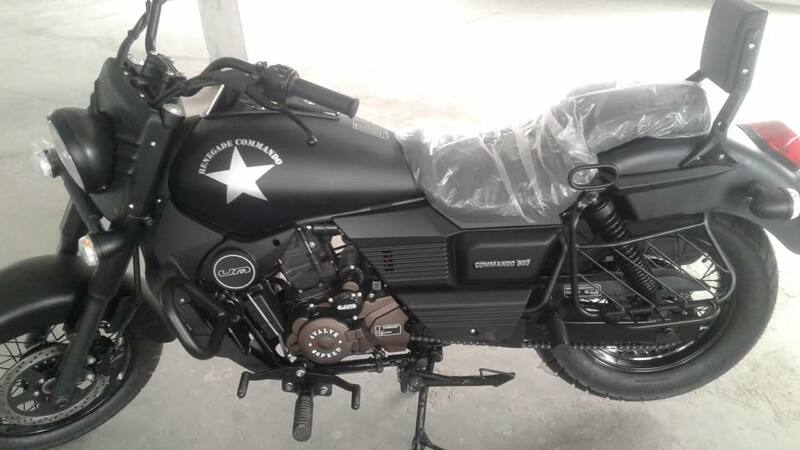 UM Motorcycles has introduced a new colour variant of the UM Renegade Commando in India, according to UM Bhopal dealership. The new colour variant is known as Black Cat and is available alongside the Matt Moss Green, Black Shine and Burgundy Shine. The UM Renegade Commando gets a new 'Black Cat' matte colour option, which is available alongside the existing paint schemes. The new matte black colour variant is launched along with a new carburettor version of the UM Renegade Sports S. The new models will soon be available for sale across UM dealerships in India. 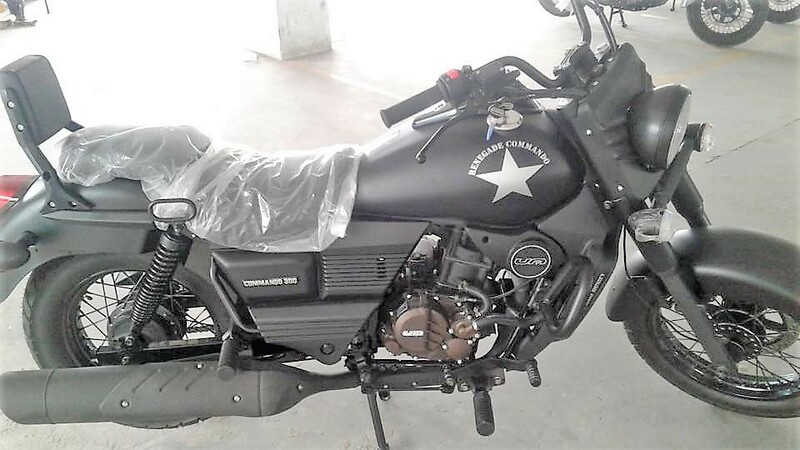 UM Motorcycles is yet to officially introduce the new variants of Renegade Commando and Renegade Sport S in the country. On a side note, the company had showcased the UM Renegade Duty S and the UM Renegade Duty Ace alongside the UM Renegade Sports S Vegas Edition at Auto Expo 2018. Powering the UM Renegade Commando is a 279.5 cc, single-cylinder, 4-valve, liquid-cooled motor with fuel injection. The engine is capable of producing a maximum power of 25.15 PS at 8,500 rpm while developing a peak torque of 23 Nm at 7,000 rpm. This engine transfers power via a 6-speed gearbox. Suspension components include 41 mm telescopic front forks along with twin hydraulic shock absorbers at the rear. As far as dimensions are concerned, the bike has a length of 2257 mm, a width of 780 mm and a height of 1140 mm. The wheelbase and ground clearance measure 1,545 mm and 200 mm respectively. The UM Renegade Commando competes against the Royal Thunderbird 350X. Key features of the UM Renegade Commando include a semi-digital instrument cluster and USB charging port. Anchorage comes from a 280 mm front disc with 2-piston calliper and a 130 mm rear drum brake. The Renegade Commando features 16-inch front and 15-inch rear alloy wheels with 110/90 R16 and 140/90 R15 tubeless tires at front and back. The motorcycle has a fuel tank capacity of 18 litres, and it tips the weighing scales at 179 kg kerb.